Details: Square glass block windows on north elevation. 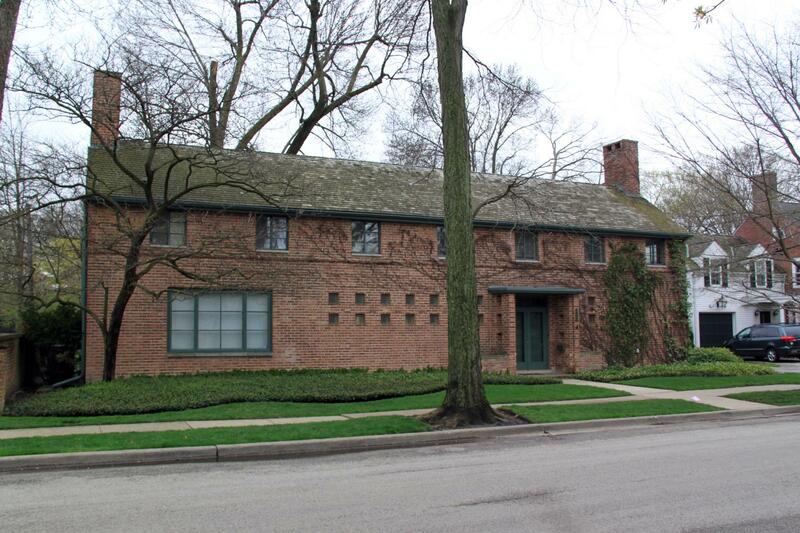 Significance: Produced by an important architect and a life-long Evanstonian, the tightly controlled proportions of this residence's few elements result in a high quality, simple and effective design; the pitched, shingled roof runs to a rain gutter immediately above the lintels of the evenly spaced paired casement windows along the second floor of the common brick walls; a transomed entrance is sheltered by a thin roof supported by slight wing walls projecting immediately next to the pair of doors; a double row of small, square windows, one pair already appearing at the porch walls, runs to the east until it meets a casement bow window near the end. Larger windows appear in the wall west of the entrance; the composition is closed by large chimneys centered on the end faces. Historic Features: Spare ornamentation, second story windows, flat off-center canopy entrance with transom, chimney stacks at gable ends. 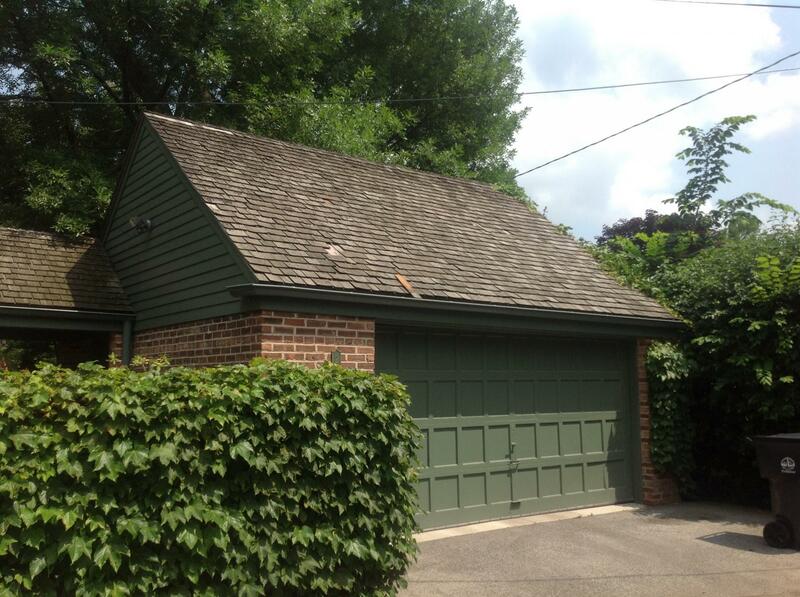 Building Permit Description: 2-story brick single family residence with attached garage. Exterior Alteration Permits: 08ROOF-0263: Replacement of roofing, gutters and match existing tuckpointing of chimneys, paint to match. COA Info: 08PRES-0148: Tuckpoint upper chimneys and front planters with mortar to match the existing, replace existing wd shingle rf to match existing and original on house and garage, replace gutters and downspouts to match original galvanized painted materials, paint wood trim and windows to match the existing color. Historic Info: Plat of Survey dated 28-March 1940 is in house file at Evanston History Center Archives. Other Sources: Plat of Survey dated 28-March 1940 is in house file at Evanston History Center Archives.